With 136 guestrooms each guest will appreciate the classic Art Noveau styled furnishings the designer amenities and elevated guest services at our Manhattan hotel. 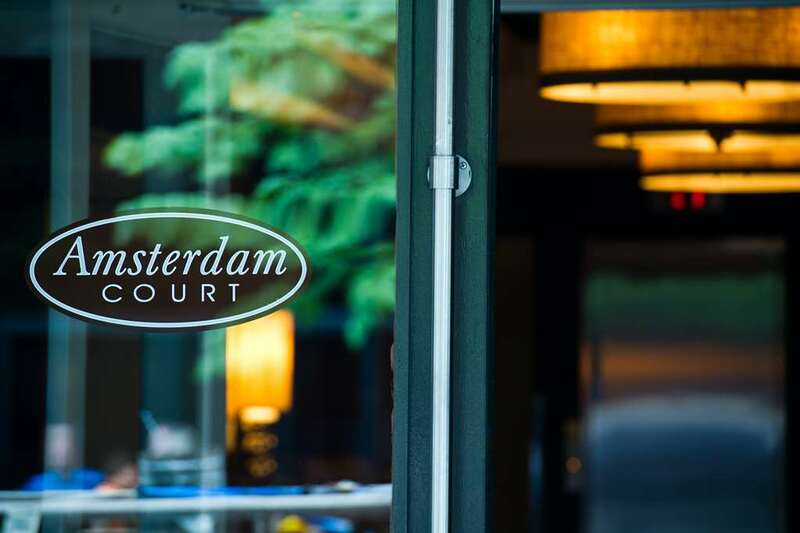 Whether your trip is for business or leisure be confident that you'll find everything you need at The Amsterdam Court in NYC. The elegant European charm of The Amsterdam Court Hotel is situated in the heart of Times Square in New York City. The Theater District hotel central location provides guests with convenient proximity to many of the top destinations in Manhattan- including Rockefeller Center Radio City Music Hall Columbus Circle Central Park Gershwin Theatre and so many others.